How about locking your system whenever you disconnect your bluetoothdevice or you go awayleaving your pc ? BtProx or Bluetooth ProximityLock Utility is a tool with which you don't need to lock your PCeverytime you go away.This tool can be used to lock your System anytime your bluetoothdevice gets disconnected from the PC either inititated by the user orif the user moves so far away from the PC that the device getsdisconnected as it goes out of range. Thus whenever you go away fromyour system, you don't need to manually lock it. It'll automaticallyget locked. How to lock your computer with your mobile phone ?The locking procedure using this tool is more handy and sensible. Thestandard locking takes place after a certain time withoutconsideration of where the user is even if the user is sitting in thesame room. Infact it'll lock even if user is reading anything on thecomputer without ressing any key. Bluetooth Proximity ensures that PCgets locked only if the user leaves the proximity of the computer. 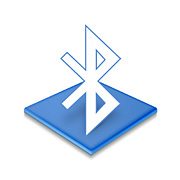 Another benefit of using the Bluetooth Proximity Lock Utility is thatit can launch an application if the device gets connected ordisconnected from the system.It can for instance be used to perform an automatic system cleanup,unmount an encrypted hard drive or run a system tool whenever thedevice status changes.The time between the PC getting locked and Bluetooth device beingdisconnected can be configured from options available in the tool.Moreover above that the tool is open source for Windows. The tool aswell as source code for it can be freely downloaded. This tool mightnot sound to be extreme utility but still it is a unique concept andfor users of bluetooth devices might be an excersbale option.